Matthew Mullinax is a native Floridian and has proudly called Tampa home for over fifteen years. After receiving his Bachelor’s degree in Economics from the University of South Florida, Matt attended Stetson University College of Law, where he received his Juris Doctorate in May of 2010. While in law school, Matt served as a judicial extern for the Honorable Judge Isom of the Thirteenth Judicial Circuit. Matt became a member of the Florida Bar in 2010, and is licensed to practice law in all state courts of Florida. After graduating from law school, Matt spent years representing numerous National and Florida-based insurance companies in lawsuits brought by landowners for property damage and loss caused by fire, hurricane, theft, water, wind, mold, sinkhole, and all other perils. This experience gave Matt a unique understanding of how insurance companies operate, which allows Matt to achieve the best outcome available for his clients. Ultimately, Matt decided that his true calling was to work on behalf of Florida’s residents and homeowners, and he now proudly represents them. After gaining considerable experience representing homeowners at one of the largest property insurance law firms in the state, Matt helped found the law firm that is Makris & Mullinax, P.A. Matt now represents the legal interests of Florida’s homeowners and business owners, and proudly helps them fight for their legal rights. 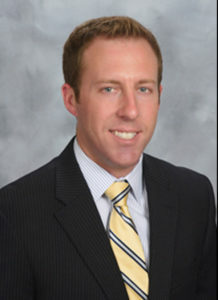 Matt has been an active member of the Tampa Bay Inn of Court since 2008, and in 2013, 2014, 2015, 2016 and 2017, Super Lawyers designated Matt as a Florida Rising Star in the area of insurance claim coverage, a distinction that is given to approximately 5% of Florida attorneys and is determined by nominations and opinions of other attorneys. In his free time, Matt enjoys spending time with his family and being active outdoors.